Men's Trachten belt in black. 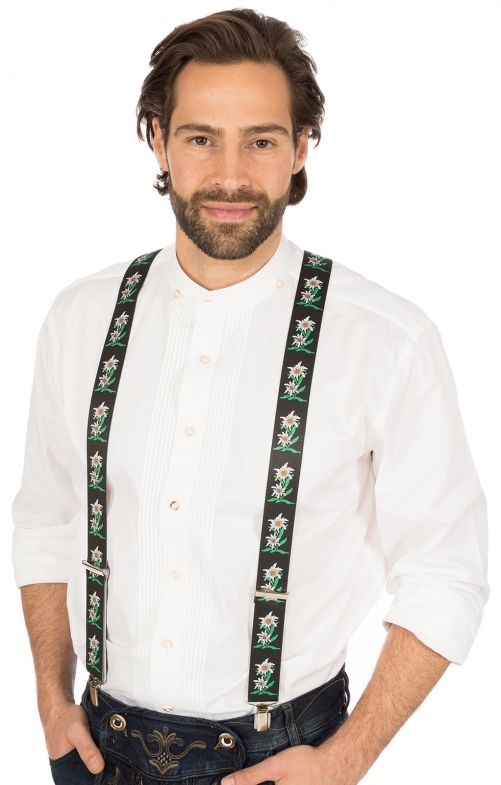 Men who like to do things a little bit differently will be able to show off their playful side by slipping into these stylish black suspenders. Made from a comfortable combination of linen and leather, the fronts of the suspender straps are embroidered with white flowers and this is the perfect garment to wear with traditional leather shorts or modern jeans.